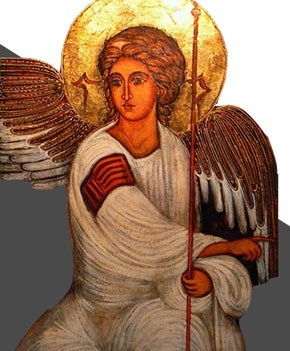 To know more about Angel invocations and prayers just ask your angel - communicating this desire to know. Angels really exist whether we believe or not. To communicate with an angel consider this: Human beings are so difficult to communicate with, because we have learned and adopted and maintain so many barriers. Angel invocations and prayers is the way I would suggest to try and be positively open as you ask your angel (him/her -- angels do not need a gender) to come to you as best they are able. An angel could 'appear'/ or come to us as a specific gender which would be for our comfort and understanding. it is okay to refer to an angel as whatever gender you want to know them as -- it is not a problem. it is not necessary to know their name(s) either. but if this is important to you then communicate this. Angels can also be young or adult -- whatever is assuring for us but they are ageless -- as we measure age. Angels probably do have a personality and certainly know humor. They have total acceptance and compassion and understanding. they are here to help us. all we have to do is ask. Since angels come more readily to us while we are sleeping, i would ask them to do so each night as you prepare for sleep with Angel invocations and prayers. Do this with a gentle sense of appreciative joy -- anticipating their visit. When you awake each morning thank them and "any other angels that may have also come to you throughout the night". make this your habit and if necessary try to develop a means of separating yourself from your pain(s) and anxieties and worries and all negative thoughts. Meditation is also an effective means of developing more openness -- opening the channels to communication and 'visitations'. When you ask always include asking if it is okay for them, saying something like: "as best you are able".
. But they will visit you. You can of course also express your desire to be certain -- i.e. to know or feel -- of the experience. Another way is to write a letter to your angel, or someone else's angel. Or write a specific letter to your angel of prosperity or your angel of healing or your angel of relationships or whatever angel you wish to contact to know better the Angel invocations and prayers. And especially if you are having difficulty communicating with someone write their angel, and write your own letter to your own angel. They will come to you. you may not "know it" or remember. But they will visit you. You can of course also express your desire to be certain -- i.e. to know or feel -- of the experience. It is also important to know there are angels or spirits that are not helpful to us and may confuse us harmfully. So when you have any doubts as to the intention of a spirit (or angel?) then tell them to go if they are not for (your) good. your guardian angel(s) is indeed always with you. Always tell them how truly precious they are and that you love them being there so much. It is also important to know there are angels or spirits that are not helpful to us and may confuse us harmfully. So when you have any doubts as to the intention of a spirit (or angel?) then tell them to go if they are not for (your) good. Tell them they are not welcome to visit you uninvited -- if they are not of the angel(s) you wish to reach and/or interact with. Do please take extra good care of yourself -- it is an expression of love -- and know that you also are very precious indeed. try each day to do something that follows your bliss, hear the words "I love ..." come out of your mouth. And tell those whom you love how precious they are. Be aware of your actions to increase the positive energy on the planet. Share all your moments with your angels. Be conscious of and a participant in your growth. Be happy and have fun!